For a seemingly obscure topic, my recent column on Locked-In Retirement Accounts attracted a surprising number of reader queries, some of which we answer below. Our focus here is on the income-withdrawal side of LIRAs. The first column looked at how LIRAs are established with funds from the exit of employer-sponsored defined-benefit or defined-contribution pension plans. 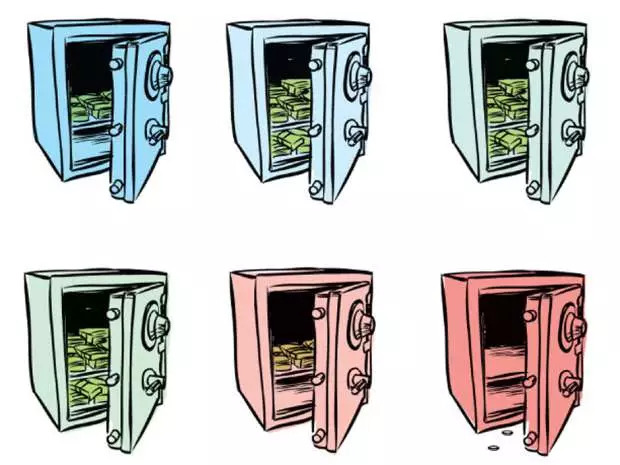 To protect retirees, the funds are “locked in,” usually until age 55, after which time various rules govern both when and how money can be taken out. (An Alberta LIRA can be converted to a LIF/annuity at age 50). Now we look at what happens when older holders of LIRAs choose to draw income from them: how a LIRA becomes an annuity-like pension or, alternatively, a Life Income Fund, which is the equivalent of the Registered Retirement Income Fund. Think of the LIF simply as a less flexible version of a RRIF: in addition to annual minimum withdrawal amounts, there are also maximum annual LIF withdrawal amounts. In short, sums up Vancouver-based advisor and portfolio manager Adrian Mastracci of KCM Wealth, a LIRA behaves like an RRSP, while a LIF or equivalents like LRIFs behave like RRIFs. So, if you have a LIRA, you can decide to set up a LIF any time after age 55, assuming it’s allowed by your plan administrator. Rules may vary by province and you should check the rules as to what happens at age 65. Reader A.B. in Vancouver is 82, retired in 2003 and wants to unlock $29,000 in a LIF as one lump sum. Mastracci says he needs to ask his plan administrator, but such a small amount will likely be eligible for the 50 per cent free withdrawal provision. His LIF will have an annual withdrawal schedule, so he may not be able to unlock the whole amount at once. Toronto reader D.K. is 55 and retired, living on his RRSP and taxable investments; he wants to receive $42,000 annually to stay at the bottom of the Ontario tax bracket. He has a small $3,500 Quebec LIRA and wants to tap it all, asking if the $2,000 pension credit would help. Sean Cooper, a Toronto-based pension administration senior analyst, says that since the LIRA is less than 40 per cent of the maximum pensionable earnings under the Quebec Pension Plan ($21,960 in 2016), it can be withdrawn when he reaches age 65. But Cooper says the types of retirement income that qualify for the pension tax credit before age 65 are “rather limited” — to life annuity payments from a pension plan or superannuation; or annuity payments from an RRSP, RRIF or DPSP, but only if the source of such plans comes from a deceased spouse. Reader W.B. is 73, received a $31,000 LIF payout at retirement and wants to know if there’s a way to minimize tax on it. Tridelta Financial wealth adviser Matthew Ardrey says it’s not possible to avoid tax altogether on this income. Being over 65, W.B. could split up to 50 per cent of the LIF income with a spouse, which may help if the spouse is in a lower tax bracket. As with RRIFs, the annual withdrawal percentage could be based on his wife’s age: something that must be done right when you set up a LIF. If he has equity investments outside the LIF, he could hold 100 per cent fixed income inside it, minimizing the LIF balance and hence annual payouts from the LIF. Hector adds the caveat that despite annuities being expensive today, there are still circumstances where they make sense, such as for those who struggle with gambling or substance abuse issues, or those who are uncomfortable investing in stocks.